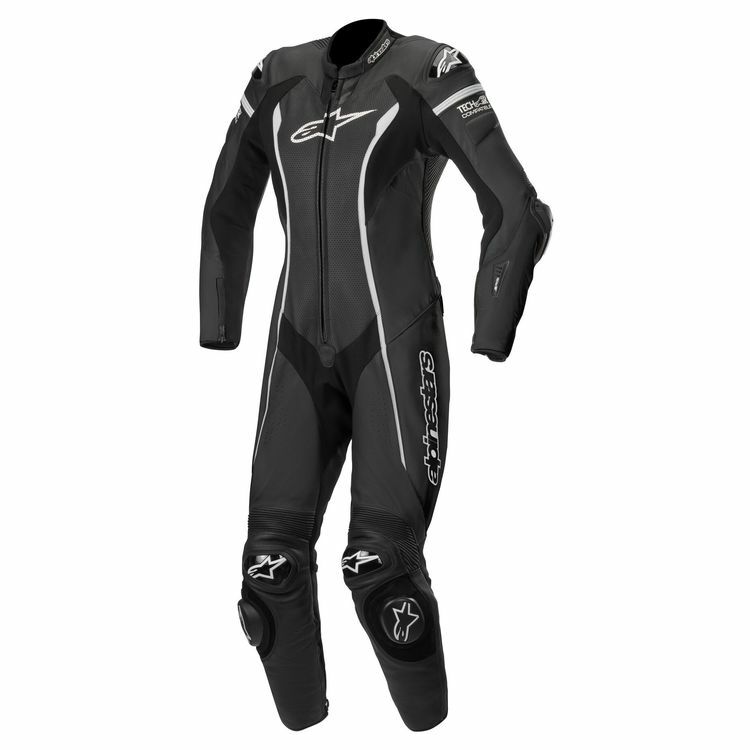 The Alpinestars Stella Missle Race Suit is a high-performance 1-piece suit constructed from 1.3mm cow leather with large accordion stretch panels and pre-curved sleeves that ensure a comfortable fit. The Missile features GP-R protectors at the shoulders, elbows and knees for protection and large perforated panels for ventilation. An innovative and replaceable elbow slider means you can slide your elbow through the turns at will, without worrying about wearing out your suit's non-replaceable sliders. This Missile Race Suit is prepared for Alpinestars Tech Air Race Airbag protection system. The separately available airbag vest attaches to the inside of your jacket in minutes and is equipped with crash detecting equipment. Should the system detect a crash, it will fully deploy it's airbag, providing unrivaled protection to the rider's back, shoulders, kidney area, chest and upper abdomen. if you are a bustier woman i recommend getting 2 sizes bigger for the chest. it is hard to get in so make sure you bring someone to help you get out.